This was taken after the East half of the new bridge was completed and traffic moved. 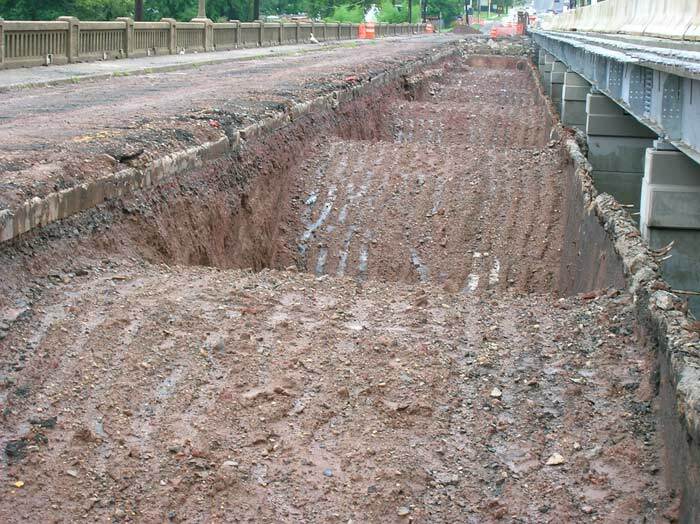 The north bound lane of the 1914 bridge has been excavated showing the concrete arch structure, and the earth fill under the south bound lane. The increase in the deck grade is obvious at the right.